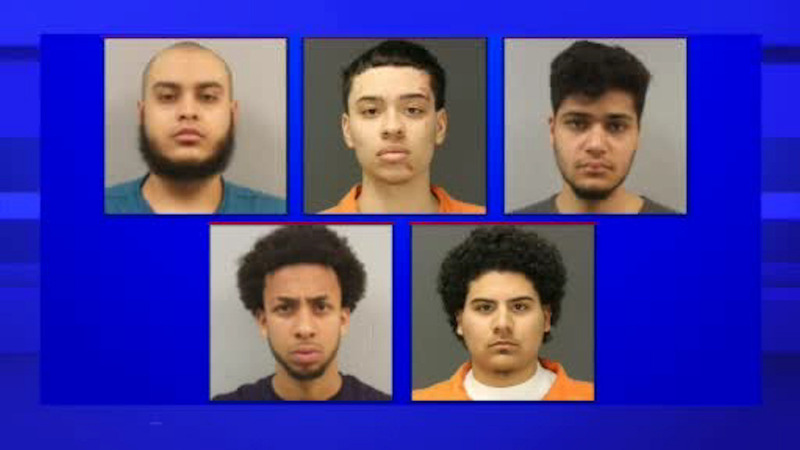 TEANECK, New Jersey (WABC) -- Six people in Teaneck are now facing charges for apparently luring a would-be murder victim using Twitter, back in January. The five men and one juvenile at the time were arrested at a scene police were called to with reports of shots fired on January 4th. Fady Nazir, Erick Green, Manual Habashee, Harold Mercado, Sebastian Flores, and the unidentified juvenile were found at the corner of Ayers Court and Hill Street with a vehicle that was stuck by bullets, but no victim. Authorities spent the last several months investigating, and have now charged the men with various charges of conspiracy to commit murder. The five men had different bails set ranging between $250,000 and $325,000.